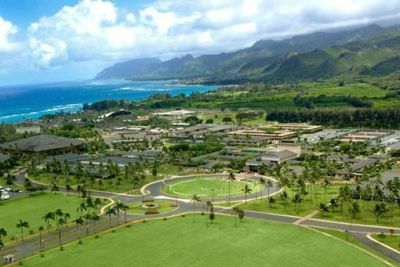 BYU-Hawaii is a four-year, liberal arts institution located on northeastern Oahu, thirty-sevenmiles from Honolulu. Its multiracial student body of 2,000 comes from over fifty countries: 60percent from Hawaii and the U.S. mainland, and 40 percent from the South Pacific and the Asian rim. In 1865 the Church of Jesus Christ of Latter-Day Saints purchased 6,000 acres of land at Laie, where missionaries had conducted a primary school for many years. 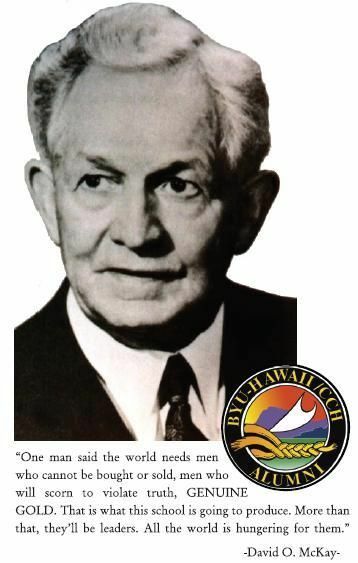 In 1921 David O. McKay, a member of the Quorum of the Twelve Apostles, visited the islands and became convinced that Church-sponsored higher education in Hawaii was essential to serve the Pacific basin. It was not until the late 1940s, however, that Church leaders of Oahu seriously began to investigate educational needs. In 1954 David O. McKay, then President of the Church, took definite steps to establish a school by appointing Dr. Reuben D. Law to head a proposed junior college in Laie. In 1955, with a student body of 153—nearly all from Hawaii—and a faculty of 20, the Church College of Hawaii (CCH) was established as a two-year college and began classes in six war-surplus buildings while labor missionaries built a permanent campus. The school quickly expanded into a four-year teacher-training institution for Church schools in the South Pacific, which it remained for its first two decades. 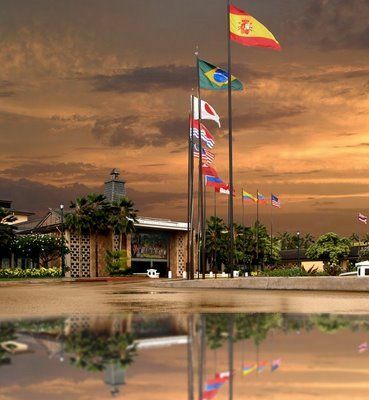 Midway through this period, following several years of effort to find a way to provide employment opportunities for the student body, the Church opened the polynesian cultural center in October 1963, which currently provides employment for nearly half the students. Major restructuring was initiated in 1974, when Church College of Hawaii was renamed Brigham Young University—Hawaii Campus and came under the direction of the president of Brigham Young University in Provo, Utah. Since that time, enrollment has increased to 2,000 students. Accredited by the Western Association of Schools and Colleges, the school is organized into seven academic divisions. Although there is no religious requirement for admission, all students and faculty are expected to follow the dress, grooming, and moral standards of the school's honor code. Since the late 1960s, BYU—Hawaii has excelled in various athletic competitions and has won national championships in rugby and men's and women's volleyball.